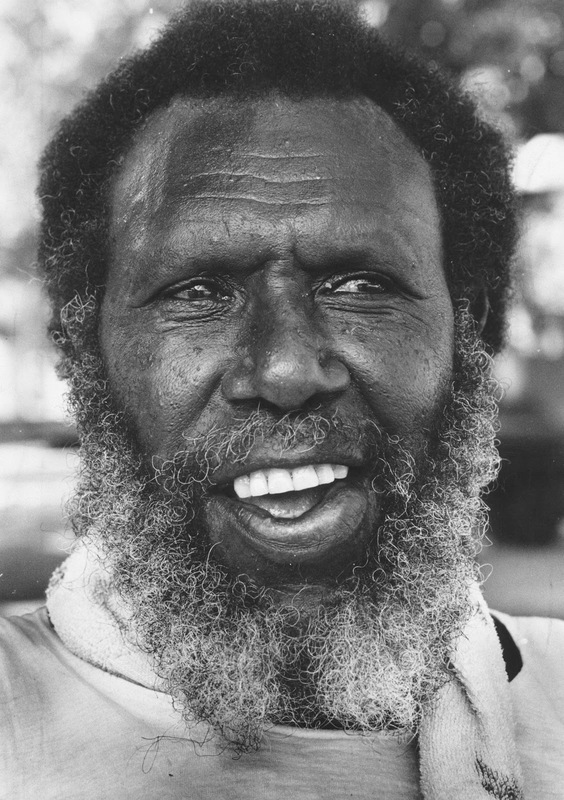 The telemovie Mabo - is the David and Goliath story of Torres Strait Islander Eddie Koiki Mabo (1936-1992), who spearheaded the High Court challenge that once and for all overturned terra nullius - and resulted in the recognition of native title in Australia. Eddie Mabo was shocked to discover the (Mer) Murray Island land, passed down to him over 15 generations was not legally his. So began the immense battle to get Australian law to recognise traditional land rights. The 10 year struggle came at great personal cost to Eddie and his family. The telemovie went into production on October 24 2011 - and will air in 2012. Mabo - an ABC TV / Blackfella Films telemovie of the true story of one man’s epic fight to change a nation, has attracted some of Australia finest actors. - Tom Budge (Bran Nue Dae, The Pacific, East of Everything). Eddie Mabo’s ancestors lived for centuries on a group of three islands in the Torres Strait, near Cape York, known as the Murray Islands. The islands were annexed by the Queensland Government in 1879 and so became part of Australia. This meant that white rule was absolute and the traditional elders had little power. Little changed, however, in the way of life of the Murray Islanders as a result of this -people continued to live in their settled communities; they maintained their traditional beliefs and customs; there was a clear way of passing on their plots of land, and ways of settling disputes about legal matters. It was into this lifestyle that Eddie Mabo was born. Edward Koiki Mabo was born in 1936 on Mer Island (or Murray Island) and, after his mother’s death, was given to his mother’s brother and his wife to raise. From an early age, Koiki was taught about his family’s land. “…it was handed down from generation to generation,they knew by the boundary lines and markers. There was a certain tree, or stones, heaps of rocks, different trees. They knew exactly where the place was”. At the age of twenty-three he married Bonita Neehow and went on to raise ten children with her. As a result, he and others decided to challenge the claim of terra nullius in the High Court. Central to his argument was the belief that the land had been stolen in the first place. He believed he could achieve justice through the courts. Eddie Mabo claimed that he was the rightful heir and owner of the land owned by his father on Murray Island. “…the Meriam people were entitled as against the rest of the world to the possession, occupation, use and enjoyment of (most of) the land of the Murray Islands in the Torres Strait. In reaching this conclusion a majority of the Court held that the common law of Australia recognises a form of native title; where those people have maintained their connection with the land; and where the title has not been extinguished by acts of Imperial, Colonial, State, Territory or Commonwealth governments”. In essence, the High Court recognised that Australia was occupied prior to white settlement, and that Aboriginal and Torres Strait Islander peoples had native title to these lands. 'Native title' is the term used to describe the common law rights and interests of Aboriginal and Torres Strait Islander people in land according to their traditions, laws and customs. The 1992 decision for the first time recognised the common law rights in land of Australia’s Indigenous peoples. Native title isn’t a new type of land grant, but a common law right that predates white settlement of Australia. The common law, originally founded on custom and tradition, is the British system of judge-made law, based on precedent, and is over 800 years old. © Text and image: Wikipedia, Anti-Discrimination Commission Queensland, Colin R.